B0803. SERGIO FAILONI. MICHELE SELVINI, Ed. (w.Preface by ALFREDO MANDELLI). Milano, Edizioni MC Musica Classica, 1995. 151pp. 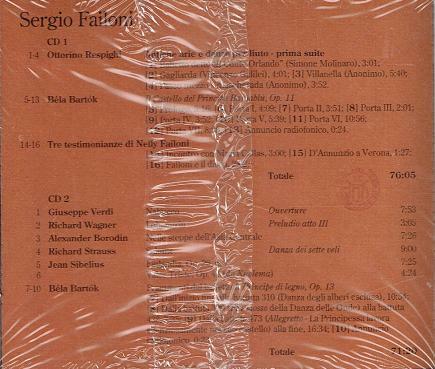 ; Bibliography; Chronology; Testimonials by Gianandrea Gavazzeni, Carlo Bologna, Elsa Respighi, Wanda Luzzato, Ottavio Ziino & Luciano Magrini. Numerous Photos; accompanied by 2–Phonocomp CD Set, w.transfers by David A. Contini; Senza Sordina – Saggi Critici. RENZO ROSSELLINI. Roma, Edizioni Piccinelli, 1946. 187pp. Softbound, & uncut. 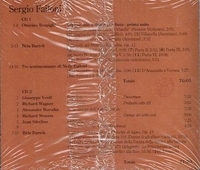 (Italian Text) (Elaborate Double Slipcase Edition). 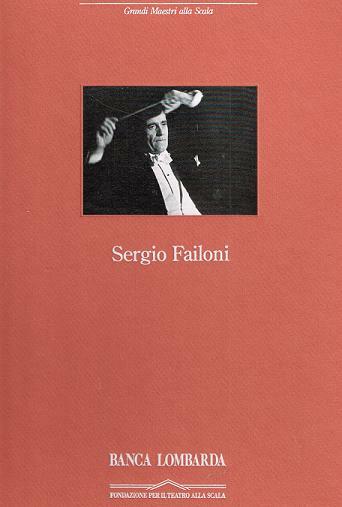 "Duly interesting biography and profile of Failoni who was conductor of the Hungarian State Orchestra, 1928-48. He worked as assistant conductor at the Teatro alla Scala (1921-24) and conductor at the Teatro Carlo Felice of Genova (1924-28). In 1928 he accepted the position of first director of the Hungarian State Opera in Budapest, where he remained until march 1944, when he was dismissed by the German occupying forces. After the war, he signed a three-year contract with the Metropolitan Opera but fell ill shortly after his arrival in New York."